The deal will see Hastings supply Sky Rock with mixed rare earths carbonate from the Yangibana rare earths project. 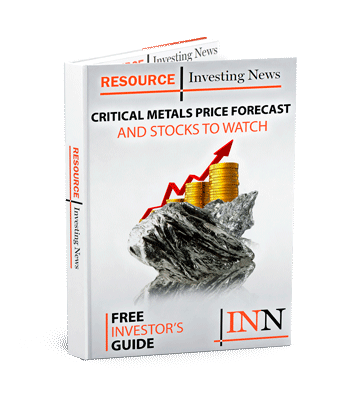 Australian critical metals explorer Hastings Technology Metals (ASX:HAS) has signed an offtake agreement with private Chinese company Sky Rock Rare Earth New Material. The newly formed deal will see Hastings supply Sky Rock with mixed rare earths carbonate from the Yangibana rare earths project in the Western Australia region of Carnarvon. Hastings has committed to a five-year fixed term contract that will see the Australian producer supply 2,500 tonnes of carbonate annually, with a caveat for an initial two-year ramp-up. “Execution of this five-year mixed rare earths carbonate contract is another important step towards funding and development of the Yangibana rare earths project so that we can supply high-grade neodymium and praseodymium (NdPr) to our various international offtake customers,” Charles Lew, Hastings executive chairman, said in the ASX announcement. The NdPr produced by Hastings is vital to the electric vehicle, wind turbine and high-strength magnet industries. While the exact details pertaining to cost have not been disclosed, both companies have agreed to base shipment prices off Asian Metals’ published 90-days mid Ex Works China price, and payment will be in US dollars. Sky Rock is based in Baotou, the largest industrial city in Mongolia. This locale has allowed the REE end-user to quickly grow its company since opening its doors in 2006. The Chinese company manufactures high-temperature tolerant NdFeB permanent magnets, specifically the Sintered neodymium magnets and Sintering samarium cobalt magnets. These specialty magnets are used by computer, technology and automobile companies around the globe. Hastings has been steadily working to develop Yangibana, completing a definitive feasibility study at the site in 2017. The study pegged the total rare earth oxide indicated and inferred resource for Yangibana at 21.7 million tonnes. In addition to the Yangibana project, Hastings is also working to advance the Brockman rare earths and rare metals project in Western Australia. The Brockman project is estimated to contain an indicated and inferred resource of 41.4 million tonnes. Shares of Hastings were flat on Thursday (November 29), trading at AU$0.17.